I hate flying. 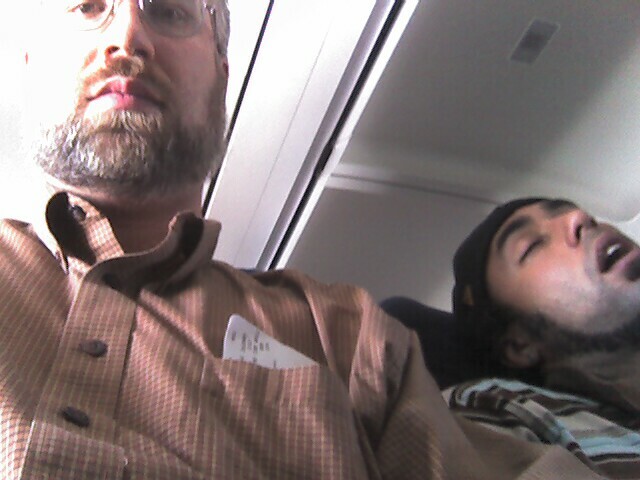 Between the bad cartilage in my knees, the fact that I'm a foot taller than airplanes are engineered for, and passive-agressive psychos like this guy ( he isn't asleep ) its a wonder I go anywhere. That was supposed to be "was not kicking him," making it so much less interesting. I swear I was kicking his side from behind. Could have driven him even more over the edge. Damn. This is a work of art. The plane ticket in your pocket is what makes it. If I could sum up the frustration and angst of flying coast, I'd point at this photo ... I feel your pain.